The Genie on-line training program is enjoying exceptional success. Not only has the uptake of participants been growing steadily, but the number of courses available has quadrupled. The training modules now span introductory, intermediate and advanced courses and the 12 courses cover boom lifts and scissor lifts. According to Genie National Quality, Training and Technical Support Manager for Asia Pacific, Reg Moss, the basic concept of the training modules is convenience. “By offering Genie training on-line, our customers can engage in service training at a time, place and pace that best suits them,” Moss said. The uptake of technical service people in remote locations throughout Australasia and the Pacific has been pleasing. National rental businesses through to aftermarket service providers have all signed on for the training programs. 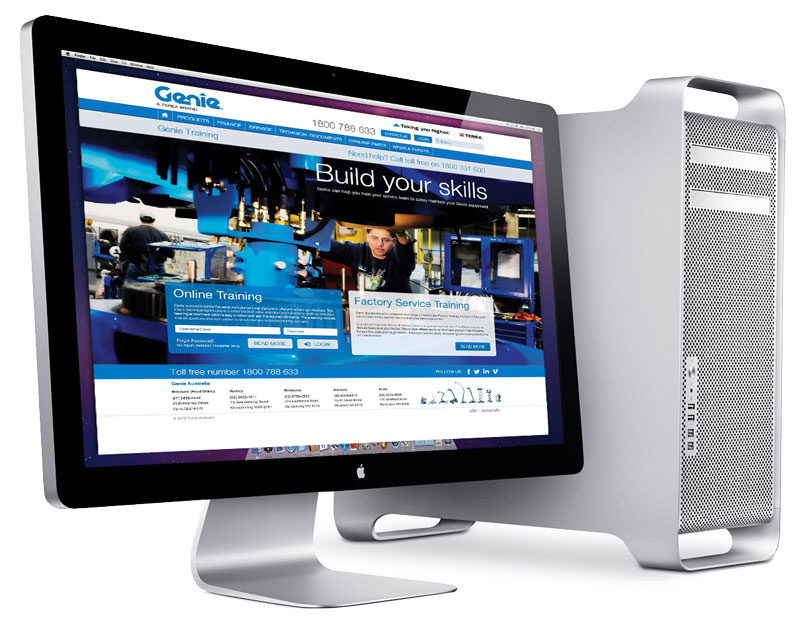 To participate in the on-line training program, customers must first register by contacting the Genie training team. Qualifying technicians will then be allocated a unique log in and password following payment of the training fee. Then it is simply a matter of logging on to begin the training. Once a pass grade of 80 percent is achieved, a certificate of completion will be issued to the individual. Thereafter the technician is eligible to attend face-to-face service training for Genie® products. Full details of the Genie On-Line Service Training program can be found on the Genie web site www.genielift.com.au in the training section.